Jim left Kathmandu today, but I still have a few days until I go home. 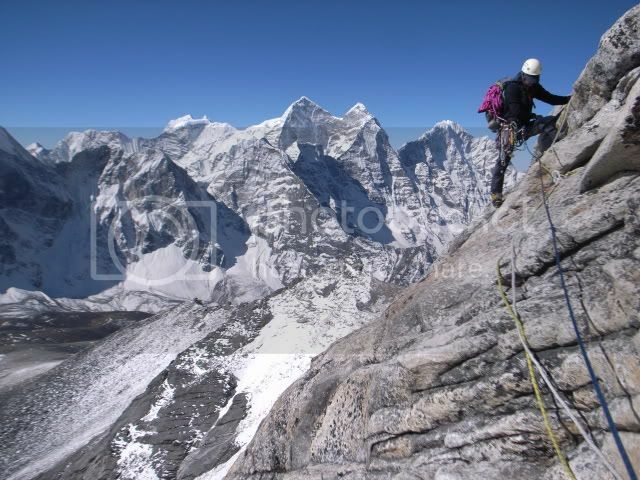 The internet is quite slow, but I thought I would share two really cool photos from Ama Dablam to kill some time. 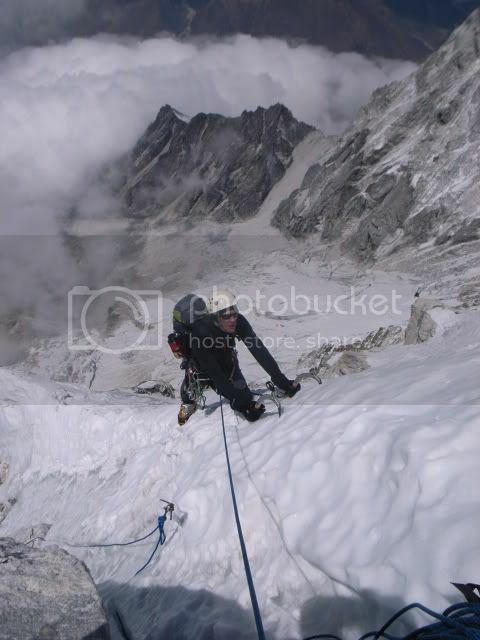 Jim on one of the initial rock slabs before Camp 2. The dry winter had left the rock free of ice and giving some very fine climbing on excelent granite.